I would like to go on record and say that I do not like the beach. People who enjoy beach activities like watching the water clearly haven’t experienced the joys of premium programming such as HBO’s fall line-up. Additionally, tanning is similar to volunteering to be cooked. You lie down and wait until the heat chars you skin, and if you wait too long and become burnt no one wants you (except the weird guy who enjoys Cajun cooking). In my opinion, the benefits of showing off your slightly burnt skin are negated by the risk of looking like a grandmother at 25. Luckily, Liquid Energy might have the solution to getting that perfect tan and keeping father time at bay! 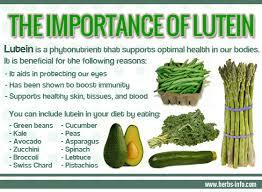 The solution is lutein and zeaxanthin. A new study suggests that the antioxidants Lutein and Zeaxanthin not only improve vision, but also protect your skin from ultra violet (UV) rays. A study was done involving 120 healthy women, possessing an average age of 35, which showed premature signs of aging. The studied separated the women into four groups. The first group received a supplement which was taken orally containing 10mg of lutein and .6 mg of zeaxanthin and an oil containing 100 ppm (parts per million) lutein and 12 ppm zeaxanthin to be applied to the skin. The second group received the pills, but received a placebo for the oil. The third group received a placebo for the supplement and the oils for their skin. The fourth group received placebos for both the supplement and oil. The participants took the supplements and applied the oil for 12 weeks and were tested for resistance to UV light, how likely they were to receive a sunburn, and level of skin hydration. The researchers found that women that consumed the lutein and zeaxanthin in oral supplements possessed four times the protection from UV damage than women in the placebo group. 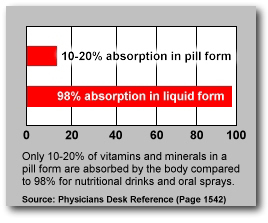 The women who used both the supplements and the tropical liquid possessed six times the protection from the UV damage than the placebo group. Lutein and Zeaxanthin does not protect against this kind of UV! The researchers believe the additional protection comes from the fact neither lutein or zeaxanthin absorbs UV light. As antioxidants, both these nutrients possess the ability to combat free radicals to combat damage caused by UV light. Lutein and zeaxanthin are both in the carotenoid family of antioxidants (which includes over 600 nutrients such as lycopene and beta carotene). Lutein and zeaxanthin are best known for their ability to improve eye help health and lower the risk of macular degeneration. These antioxidants are believed to promote eye health by protecting the retina from damaging blue light and preventing free radicals from damaging the delicate structures in the back of the eye. You can find these antioxidants in foods such as egg yolks, yellow fruits and vegetables, and leafy vegetables. As the average American does not consume enough of these foods for the recommended amount of antioxidants, supplementation is suggested. Due to the biocellular micellization process, it is advised to take Liquid Energy’s Cell Care to meet your Zeaxanthin and Lutein needs.